It seems counterintuitive to use virtual reality to treat fear, rather than create it, but that is exactly what the brilliant minds behind AxioVR are doing. What makes humans such an interesting, complex species is our range of emotions. We feel love, we feel anger, we have hope, happiness and we show disgust. Yet, another emotion that is intrinsically tied to the human condition is fear. And while fear keeps us safe, and from doing silly things that may mean the end of that human condition, it is often completely irrational. Meet ‘Team Terror’. Or, as they refer to themselves, AxioVR. They are scaring the phobias out of sufferers, and doing so in one of the safest, most effective and technologically-advanced ways. 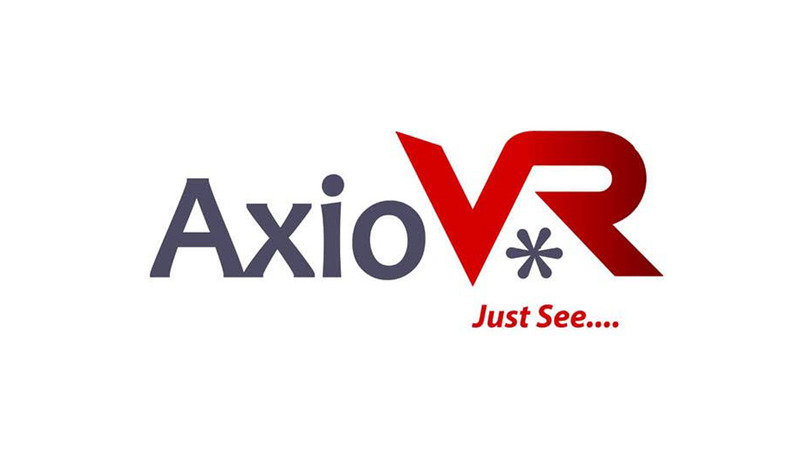 The AxioVR solution is to recreate stressful environments, which are completely in the control of the team, in a virtual reality world. This, combined with biofeedback equipment that measures breathing, sweating and the body’s physical responses to extreme situations, gives them incredibly accurate readings and insight into what their patients are going through. The experiences can also be dialled up, or down, depending on the needs of the patient and best of all, with a little understanding, a touch of brilliance and some creative juices, they can create a variety of paradigms, to help a variety of phobics. This may sound cruel and unusual, but it is only the latter, firmly grounded in science. The AxioVR team realised that, much in the same way that you can desensitise people to allergies by repeatedly exposing them to the allergens, you can pry the fingers of phobias off patients by doing the same. In their world(s), heights can be replicated to the level that they elicit the same responses as if the person was actually standing 100 metres up, ‘hanging ten’ on the edge of a bridge. They can also make a clutter of spiders or a knot of snakes, all 100% creepy, slithery and venom-free. There isn’t much they cannot create, actually. Because AxioVR are able to control every aspect of the virtual environment they can start small, and slowly work their way up the terrorometer until that one thing that terrified you beyond all comprehension (Clowns? Mimes?) is, eventually, little more than an annoyance. AxioVR is also helping us understand fear better. It is an incredibly complex, and personal emotion which can be innate, or created through experiences such as trauma. Regardless, it is often crippling, and stops many from achieving what they want out of life. By understanding the different triggers better, we can help people to throw away their crutches. Some companies create passable VR environments. Others measure biofeedback. None are doing both, except AxioVR. The team really is an amalgamation of distinctively talented individuals, who all bring something different. Dr Stefan du Plessis is the mad genius who started it all. A clinical neuroimaging researcher at Stellenbosch University and an avid gamer, he wanted to see what kinds of entertainment he could create in VR, before deciding that the same amount of effort could be used as a force for good. His first task was to see if he could reduce the effects of Post-Traumatic Stress Disorder (PTSD) by creating a virtual, safe environment in which to do so. Gideon Burger, the ‘tech genius’ founder of Axiology Labs, a first-class supplier of psychophysiological monitoring equipment to researchers, saw what Stefan was trying to do, and brought the tech-goodies and business-savvy to the party. Natalie Roos, who has been described as the ‘creative genius’ is a fine art student who majored in interior architecture and is the executional bridge between the other two gents. She takes Stefan’s understanding of the mind, and how to evoke specific reactions, and crafts incredibly compelling virtual worlds designed to trigger them. Gideon’s VR headsets are the medium on which they are created, while his biofeedback equipment tracks the responses and creates usable, publishable data. AxioVR is, quite literally, where art meets science. There is a widely-held understanding that many psychological conditions have their roots planted in a bed of fear. This means that AxioVR’s work can be used to diagnose, understand and treat a variety of other conditions, such as schizophrenia and addiction. AxioVR already have a working paradigm that puts the former into a public speaking sequence, complete with a high stage and unimpressed audience. Because they are so good at building new, effective scenarios, AxioVR have been approached for many non-research projects. Heineken hired them to create a branded experience based on their fear-of-height paradigm, that tested how ‘brave’ customers were, before rewarding them with a beer, and AxioVR are also looking at helping a high-end aviation customer build a VR application that allows High Net Worth (HNW) clients to customise their own planes in the virtual world, before spending millions building them in the real one. Neuroscientists, psychologists, sports scientists, corporates. These are just a few of the markets that AxioVR are uniquely placed to serve. Because, as always, the technology is simply a vehicle for innovation, not the innovation itself. They are able to customise paradigms based on individual needs very quickly, but always with the same process and brilliance, regardless of whether they are briefed on philanthropic or profit-based motives. With Stefan’s mind, Natalie’s skills and Gideon’s insight and technology, AxioVR can do things that other ‘specialists’ cannot. Not bad for a company that was officially launched 6 months ago. So, what are you afraid of, dear reader? Or curious about? Because the team at AxioVR can probably help you with that.